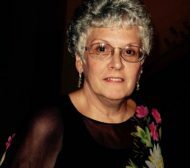 Carole L. Coady 75, of Lititz, passed away Thursday, March 21, 2019 at LGH. Born in Philadelphia, she was the daughter of the late A. Eugene and Katherine (Strang) Anderson. She was the loving wife of David R. Coady, sharing 26 years of marriage. A graduate of Saint Joseph’s Hospital School of Nursing, she was employed at LGH in the Psychiatry Department for 23 years. A member of Schola Cantorum of Harrisburg, Songs for the Journey and Volunteer Services at LGH. Carole enjoyed knitting and especially loved music and was an accomplished vocalist at St. Anne Catholic Church. She had a larger than life personality and everyone she met was her friend. In addition to her husband, Carole is survived by her son Ronald D. Reis, Sr. (Amy), Willow Street, Michael S. Reis (Marta), Philadelphia. Also step-children Suzanne Russell (Steven), Champlin, MN, Michael Coady (Jean), Shelby Township, MI, and Sean Coady (Kelly), Washington Township, MI. A brother Jack Graham (Jean), Belmar, NJ, and sister Susan Boyes, Narberth, PA. Also 9 grandchildren and 1 great-grandchild. Preceded in death by her brother Ronald E. Anderson (Susan). A Mass of Christian Burial will be held 11 AM Thursday, March 28, 2019 at Saint Anne Catholic Church, 929 North Duke St., Lancaster, PA, 17602, with Rev. Tri M. Luong as Celebrant. Interment will follow at St Joseph New Catholic Cemetery. A viewing will take place 6 to 8 PM, with a Christian Prayer Service at 7:30 PM led by Deacon Peter Jupin, on Wednesday, March 27th at the Charles F. Snyder Jr. Funeral Home & Crematory, 3110 Lititz Pike, Lititz, PA 17543. Another viewing will take place at church on Thursday from 10 to 11 AM. Hello Amy and family. I am sorry for your loss. I’m sorry I could not be there. Prayers to all of you for peace as you go on in your journeys without this special lady. I worked with Amy and one time lived around the corner when she and Ron lived on fifth st.
Hello, My name is Mike. I’m Carole’s youngest son. I just wanted to take a minute to say thank you to all the people who have written beautiful messages on this page. My mom would have been very moved by the outpouring of love and kind words. She will be missed. God bless. Carole was a treasured member of Songs for the Journey for almost 20 years!!! We will miss her voice and the Spirit of Compassion and Care she shared with us and those she served in this ministry. Our hearts and our prayers are with Dave and her family now!!! Dear Dave. We met you and Carole on a river cruise and then met up in Chicago for dinner. Although our time together was brief, we have such fond memories of those great times. Truly, Carole was a friend to everyone she met! We are so sorry for your loss. With sympathy, Mike and Karen Jacobs. Along with many family and friends, we extend our sympathy to you on the loss of Carole. We have happy memories of Carole as we travelled on our Vantage Cruise through Europe. God Bless Carole. God Bless You. Our hearts are breaking with yours. We send our prayers for you. She will be missed so much. My deepest condolence to you for Carol’s passing. I am sorry to hear about Carole. She made everyone’s heart sing with joy and happiness. My love to the family. Condolences from both of us. We both worked with Carole, and yes she had a larger than life personality, but she was genuine. A genuine good person that will be missed by many. Rest in peace, you will be missed, and fondly remembered as a true soul. I am praying for you and the family. Carole was a wonderful person. Always happy and making people laugh. I will never forget her. She was loved by everyone she met. Dear Dave, Ronm Michael and family our hearts are filled with sadness at the loss of our precious Carole. Her infectious personality and sense of humor will bring comfort to my memories. I pray that you will also find comfort in your memories. She had an integral role in shaping my ife and the woman I became and I thank her for that. May GOD’s love carry you through this difficult time. Our love, thoughts and prayers are with you at this difficult time of loss. My heartfelt condolences to Dave and her sons and families. I am so fortunate to have had Carole in my life. Her kindness and generosity to my family and me will never be forgotten. She was a unique and talented woman who shared her humor and joy for life with everyone she loved. Rest in peace my friend. So very sorry for the loss of our wonderful Carole. We send our most heartfelt condolences to family and friends. We were all so blessed to have Carole in our lives. She was an amazing lady and a treasured gem. She was so loving and kind. May all of our wonderful memories of Carole help us through this difficult time. She will always hold a special place in our hearts. My heart is broken along with all of you who loved her too. She was the best friend anyone could have. We cried and laughed together for many years. She was part of my family and I part of hers. The world was better off with her in it and Heaven has a new angel to watch over us until we meet again! I will miss you my dear friend. Cheryl Flury. a good person and great friend. Worked with her often at Funeral receptions. A talent musician she was indeed and lent her voice often for others. She will be sadly missed by all of us and her church family of SAC, REST IN PEACE CAROLE My condolenceses to the whole family..prayers are with you in this difficult time.